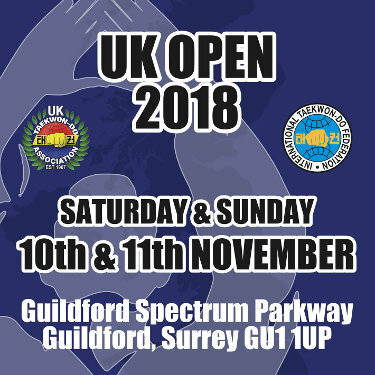 The 2018 UK Open will take place on 10th and 11th of November at the Guildford Spectrum in Surrey. This spectacular two day event will see ‘All black belts and Under 14 RED belts’ competing on Saturday 10th followed by the colour belts on Sunday 11th. We look forward to seeing you at this great event.